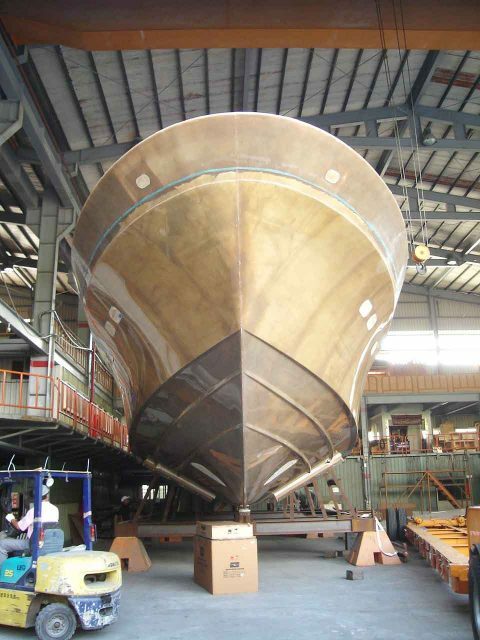 Our semi-custom design process results in a boat that meets your every need. In fact, you can modify any Hunt design to suit your taste— choose from a selection of propulsion options, layouts and arrangements, finishes and accessories. 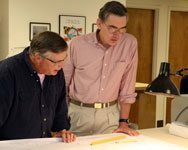 Our close relationship with the naval architects at C. Raymond Hunt Associates, the design firm founded by Ray Hunt, provides expertise in optimizing the performance of the Hunt Deep-V. This unique approach means that we work with you every step of the way to build the boat you’ve always wanted, without any sacrifice to the celebrated performance of the authentic Hunt Deep-V.
Hunt Yachts are built by the finest craftsmen in the business using the highest quality materials available. Our heirloom quality boats are known for their durability over generations, designed to withstand generations of enjoyment with classic good looks that will outlast the latest fads and trends. Quite simply, Hunt Yachts are beautiful boats built to last. Our headquarters in Portsmouth, Rhode Island are nestled in the Melville Basin, the heart of New England’s boatbuilding industry. Our 24,000 square foot boatbuilding facility employs over 50 craftsmen and specializes in the construction of our Harrier, Surfhunter, and Center Console models. Our waterfront service facility provides dockage, storage and a full service yard that can handle a variety of projects, from a quick fuel stop to a complex refit. Our Ocean Series line of luxury offshore yachts are constructed overseas in Kaoshiung, Taiwan, the epicenter of high-end yacht building in Asia, and shipped to Rhode Island for commissioning and sea trials. Our Rhode Island boatbuilding facility is available for tours by appointment. Just a short ride from Newport or Providence and a great daytrip from the Boston area, be sure to schedule a stop at Hunt Yachts for an up close look at the fine craftsmanship for which we are known. Contact us for more information.